Authors: Adachi, M., Mikami, B., Katsube, T., Utsumi, S.
Cite: Crystal structure of recombinant soybean beta-amylase complexed with beta-cyclodextrin. 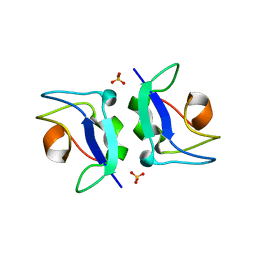 Authors: Adachi, M., Takenaka, Y., Gidamis, A.B., Mikami, B., Utsumi, S.
Cite: Crystal structure of soybean proglycinin A1aB1b homotrimer. 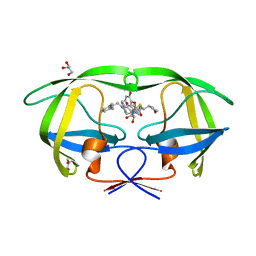 Authors: Adachi, M., Kanamori, J., Masuda, T., Yagasaki, K., Kitamura, K., Mikami, B., Utsumi, S.
Authors: Adachi, M., Shimizu, R., Oikawa, T.
Cite: The first identification and characterization of a histidine-specific amino acid racemase, histidine racemase from a lactic acid bacterium, Leuconostoc mesenteroides subsp. sake NBRC 102480. 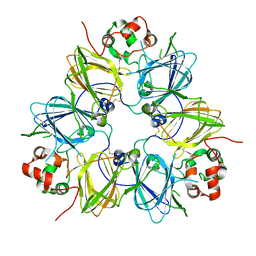 Authors: Adachi, M., Shibazaki, C., Shimizu, R., Arai, S., Satoh, K., Narumi, I., Kuroki, R.
Cite: Extended structure of pleiotropic DNA repair-promoting protein PprA from Deinococcus radiodurans. Authors: Adachi, M., Hidaka, K., Kuroki, R., Kiso, Y. 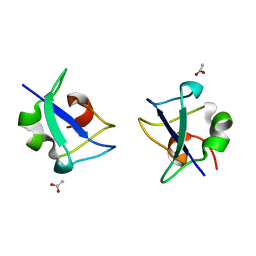 Cite: Identification of Highly Potent Human Immunodeficiency Virus Type-1 Protease Inhibitors against Lopinavir and Darunavir Resistant Viruses from Allophenylnorstatine-Based Peptidomimetics with P2 Tetrahydrofuranylglycine. Authors: Utsumi, S., Adachi, M.
Cite: Crystal Structures and Structural Stabilities of the Disulfide Bond-Deficient Soybean Proglycinin Mutants C12G and C88S. 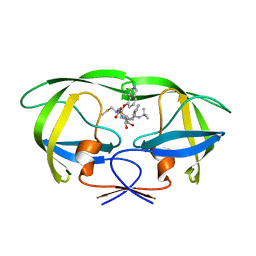 Authors: Adachi, M., Tamada, T., Hidaka, K., Kimura, T., Kiso, Y., Kuroki, R.
Cite: Small-sized human immunodeficiency virus type-1 protease inhibitors containing allophenylnorstatine to explore the S2' pocket. 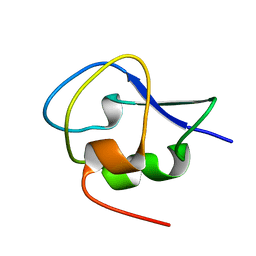 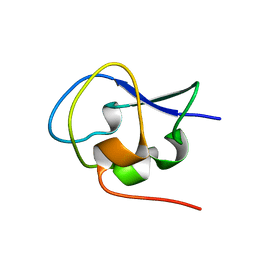 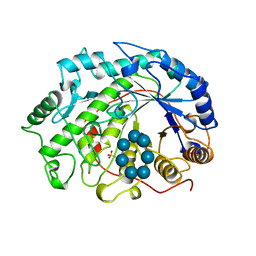 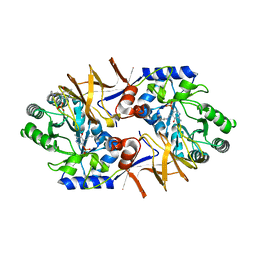 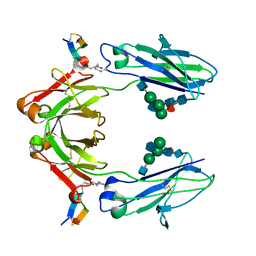 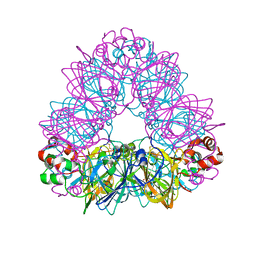 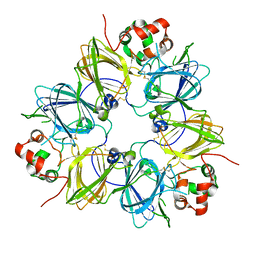 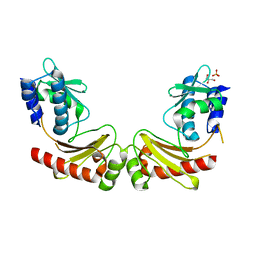 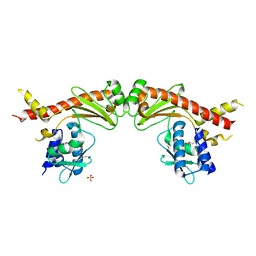 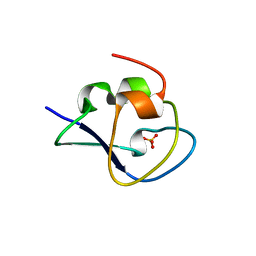 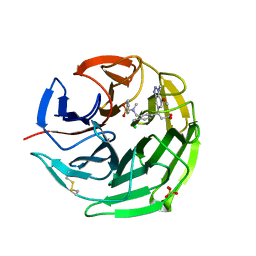 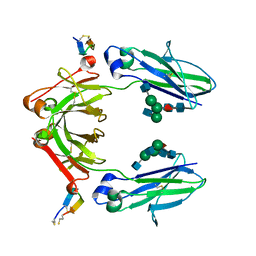 CRYSTAL STRUCTURE OF NOTCHED-FIN EELPOUT TYPE III ANTIFREEZE PROTEIN (NFE6, AFP), C2221 FORM. Authors: Adachi, M., Kondo, H., Tsuda, S.
Authors: Adachi, M., Shimizu, R., Shibazaki, C., Kondo, H., Tsuda, S.
Authors: Adachi, M., Ito, Y. 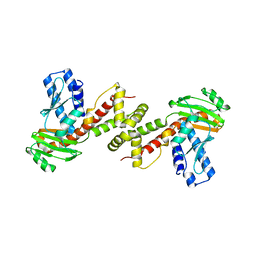 Cite: Site-Specific Chemical Conjugation of Antibodies by Using Affinity Peptide for the Development of Therapeutic Antibody Format. 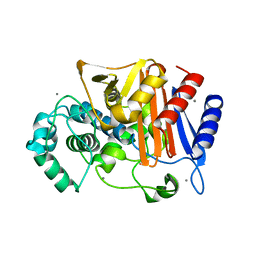 Authors: Arai, S., Yonezawa, Y., Okazaki, N., Matsumoto, F., Shimizu, R., Yamada, M., Adachi, M., Tamada, T., Tokunaga, H., Ishibashi, M., Tokunaga, M., Kuroki, R.